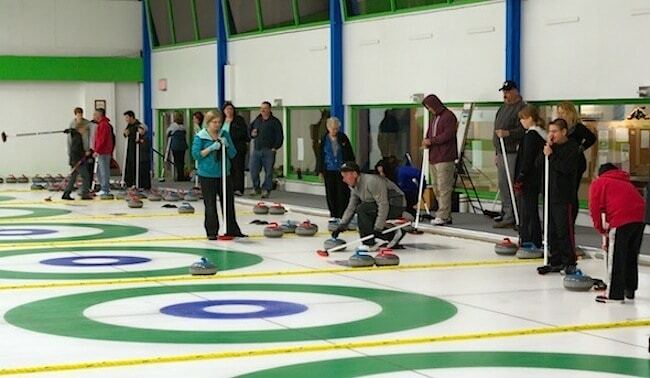 Attracting new curlers at the grassroots level was a topic that came up frequently at the recent National Curling Summit in Niagara Falls, Ont., and it’s something that clubs struggle with, no matter the community’s size or location. 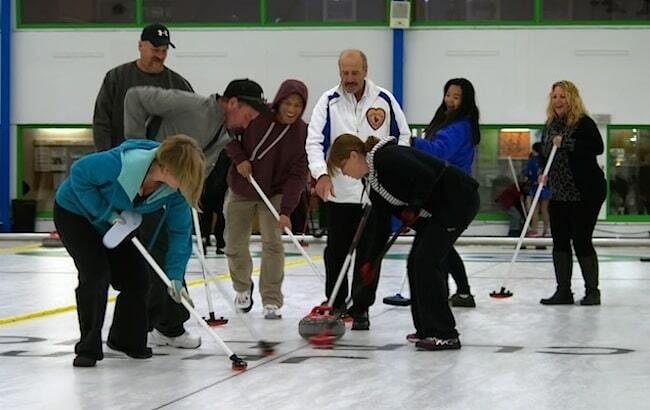 Offering Learn to Curl sessions early in the season is one way that clubs tackle the challenge: get curlers into the club, and then hang on to them. The Centre’s past president Marilyn Kraeker told us that this is exactly what the Juan de Fuca Curling Centre has been able to accomplish through the support and sponsorship of The Markets on Millstream/Yates. “The Markets on Millstream/Yates, a local grocery business owned by Ernie Skinner and family, are the sponsors of the Carol Skinner Getting Started League. 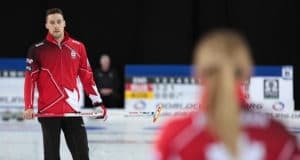 They pay for the coaches to be on the ice all year – they supported the bonspiel our novices ran themselves by holding a draw to have the fees of two of the 32 curlers returned,” says Kraeker. 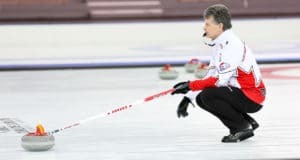 You won’t find any of the The Markets on Millstream/Yates logos on the sign that hangs in the Juan de Fuca Curling Centre advertising the Carol Skinner Getting Started League, and Kraeker explains this is for a very good reason. This kind of meaningful local connection is gold to a curling club, and it’s paying dividends, says Kraeker. But the partnerships don’t end there. Juan de Fuca CC has also connected with the local Tim Hortons. At the Open House, Sheet 5 is reserved as the Tim Hortons “Draw to the Button” Sheet, where every 20 minutes, the novice who draws closest to the button wins one of the $10 gift cards, an activity that continues until all the cards are gone. Learn to Curl activities take place on all the other sheets, keeping everyone involved. “They offered a draw the first year to return the fees for one new Junior curler,” says Kraeker. But what’s more, the sponsor sought out other local curling clubs to offer the same initiative. 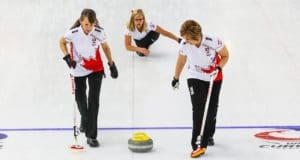 “Art and Teresa Sutherland then issued cheques in the amounts needed for each curling club to be awarded at the Try Us Open House,” Kraeker says, adding that the Sutherlands have offered to do the same this season. Juan de Fuca uses a number of other strategies to hook and hold new curlers at the start of the season. Early in the Fall, emails are sent to registered curlers advising that any league curler who brings a new or lapsed curler to the Open House can enter the draw to have one of their league fees paid back. 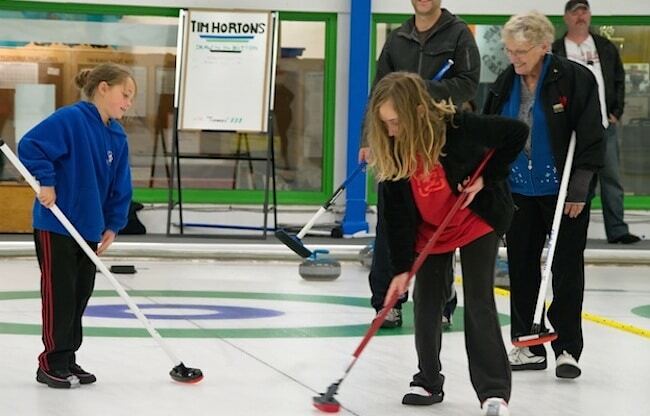 This year another innovative idea to attract curlers will be a Sunday Family Fun Day League, with coaches on the ice to help lead and instruct new curlers who want to come out and play as a family. Creative programming ideas, as well as nurturing local corporate sponsorships, are ways that clubs can keep their membership happy, engaged – and coming through the door.